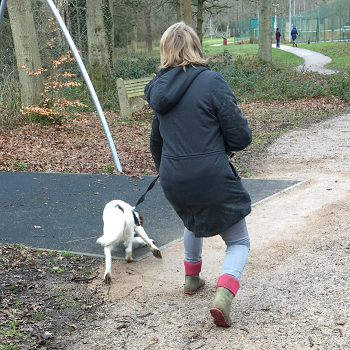 Does your dog constantly pull while on the lead? Do you have a problem with your dog pulling when you go for walks? Are you struggling to control your dog? Would you like to learn how to stop it? We can teach you how and without the need for any special lead or collar using a gentle method. You won’t need physical strength to do this.